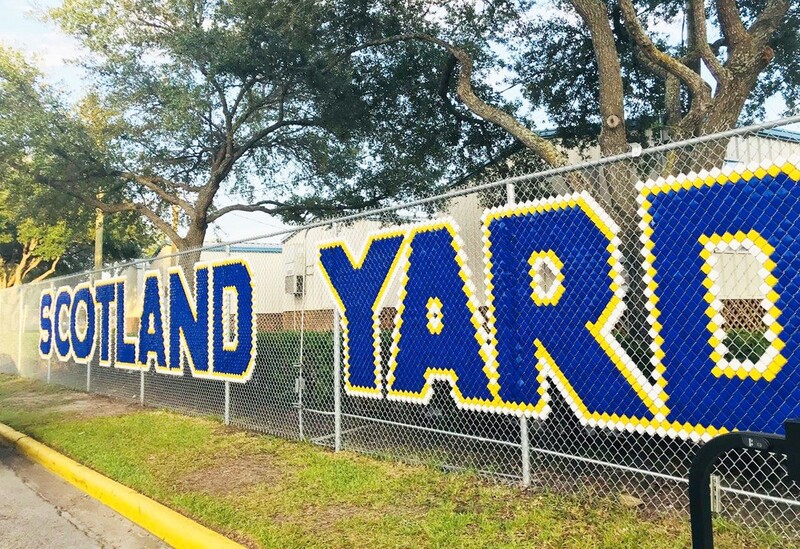 STE's middle and lower school students are in "Scotland Yard," an array of temporary buildings specifically outfitted for an academic setting with the latest technology. A little more than a year ago, Harvey devastated our city and our school, but every day Saint Thomas’ Episcopal is working hard to build it back up again. Currently the middle and lower school are in a place the student body has affectionately nicknamed Scotland Yard. Scotland Yard is an array of temporary buildings specifically outfitted for an academic setting with the latest technology. It is a happy place buzzing with activity from one-on-one pick basketball games to Highland dancers learning the Scottish fling. One great attribute of Scotland Yard is its closeness in proximity to STE’s main campus. This helps maintain the close-knit community feel Saint Thomas’ students have become accustomed to. Currently Saint Thomas’ is working on building a new campus, which includes a three story academic building for middle and high schoolers, a wet-proof chapel and a renovated high school building, which the lower school students will move into. Theatre students are especially looking forward to a new box theatre and advanced sound system. On the anniversary of Harvey, we all gathered together to sing psalms and hymns in the chapel, thankful for how far we’ve come in one year. Seeing everyone together under one roof was one major step in our long road to recovery. An added bonus was the sun shining outside.